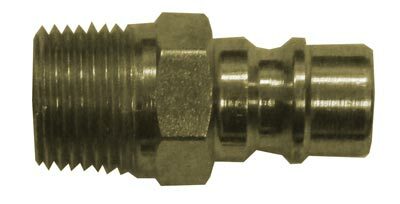 Quick-Connect allows equipment to be installed or removed quickly and safely. 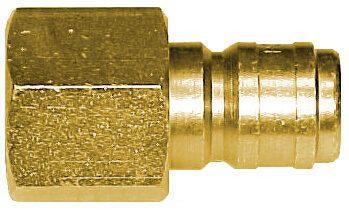 These Sure-Lock Couplers will adapt NPT couplings of various sizes to accommodate standard Quick-Connect connections. 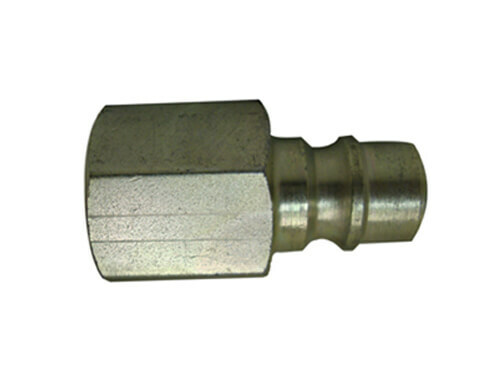 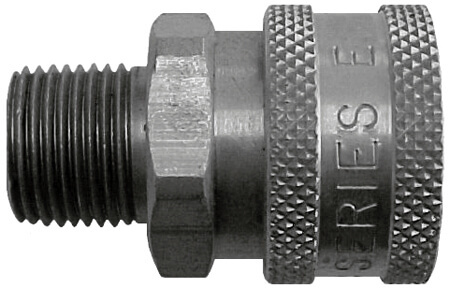 High Pressure Quick Connects are made of heavy-duty machined Zinc Chromate for a safe and leak free connection. 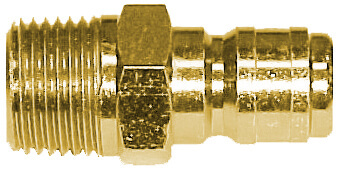 Snaptite Quick Connect Sockets and Plugs are precision built to extreme high pressure. 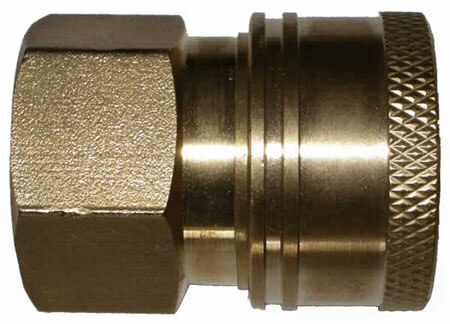 Switching out equipment is fast, easy, and safe, with Quick-Connect connections. 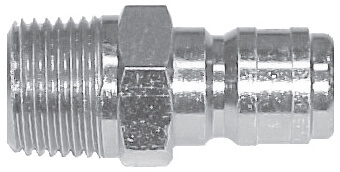 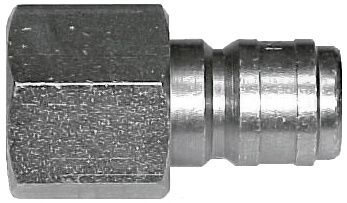 These Standard Plugs can convert NPT connectors of various sizes to work with standard Quick-Connect connections instead. Straight through interchange quick couplers in larger sizes designed for high flow rates between 33 GPM-80GPM with burst pressure ranges between 9,500 PSI to 15,900 PSI. 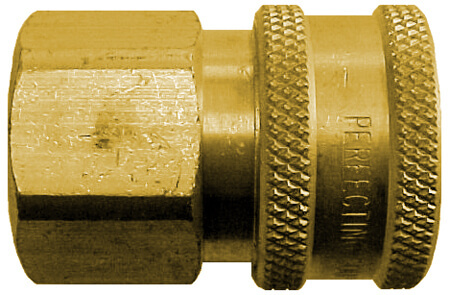 It is not suggested to approach burst pressure ranges however. 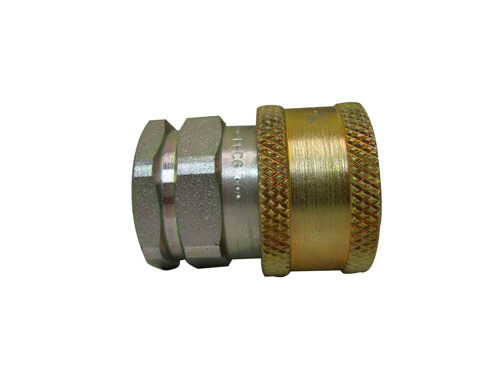 These couplers employ a 8 ball locking mechanism ideally suited for pressure washers, sewer jetters, and steam machines. 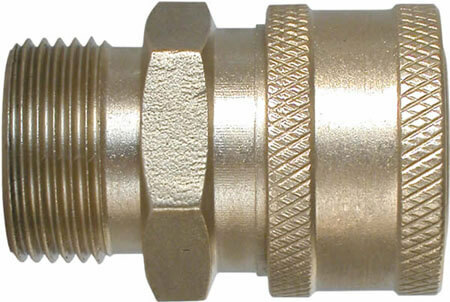 A smooth bore full-flow design ensures maximum flow with minimal pressure drop. 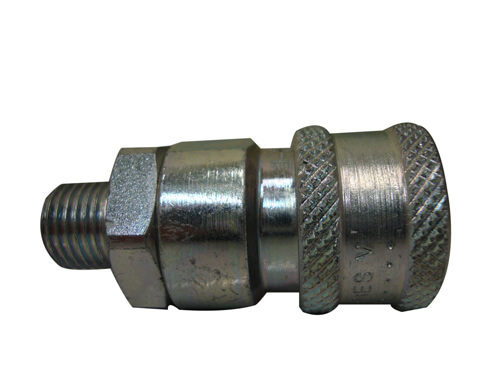 Stainless steel couplers are 303 grade.